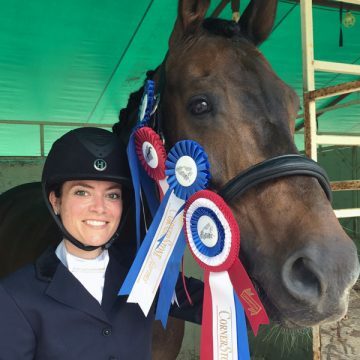 Team Belinda is so proud of Nicole Ashley and Serrano H who earned the Third level Amateur championship at the Cornerstone 2017 Summer Festival! Congratulations! 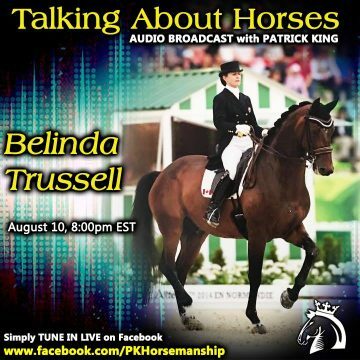 If you missed Belinda’s live appearance on Patrick King Horsemanship the other day, you can still hear the full interview on Facebook or on YouTube! 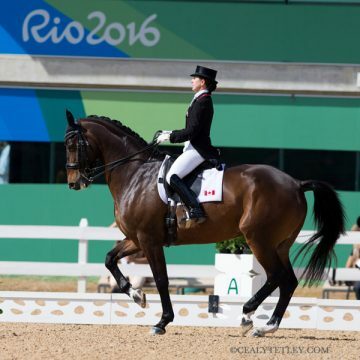 Check in to hear all about the Olympics, the latest news on Anton, and even some training tips! Here’s the link to Facebook or YouTube. 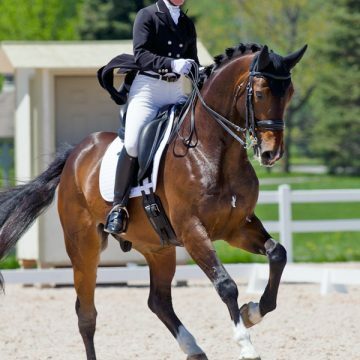 Performance horses can be prone to developing gastric ulcers. Here are some dietary suggestions from BUCKEYE Nutrition to reduce the risk for gastric ulcers. 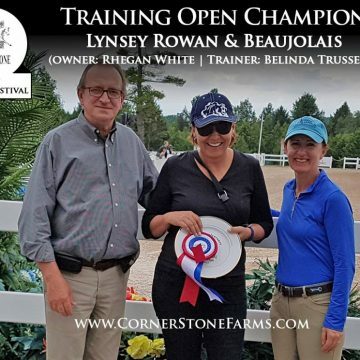 From Cornerstone Farms Facebook Page: Summer Festival Open Training Level Champion: Beaujolais – Owner Rhegan White; Rider Lynsey Rowan ; Trainer Belinda Trussell — at Caledon Equestrian Park. 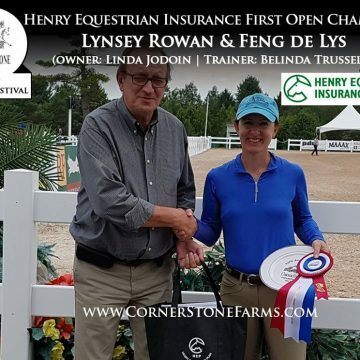 From Cornerstone Farms Facebook Page: Summer Festival Open First Level Champion: Feng de Lys – Owner Linda Jodoin; Rider Lynsey Rowan; Trainer Belinda Trussell — at Caledon Equestrian Park. 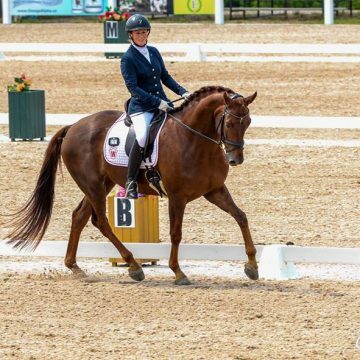 Belinda explains why she depends on highest quality feeds from Buckeye Nutrition!